According to the newly released Harvey Nash Trump Effect on Asia survey, Trump’s victory could result in some positive outcomes for the workforce in the APAC region. 36% of respondents believe there will now be an increased focus on local leadership in APAC. 35% foresee Asian nationals returning in greater numbers from the US. 24% expect to see a slowdown in talent migration. 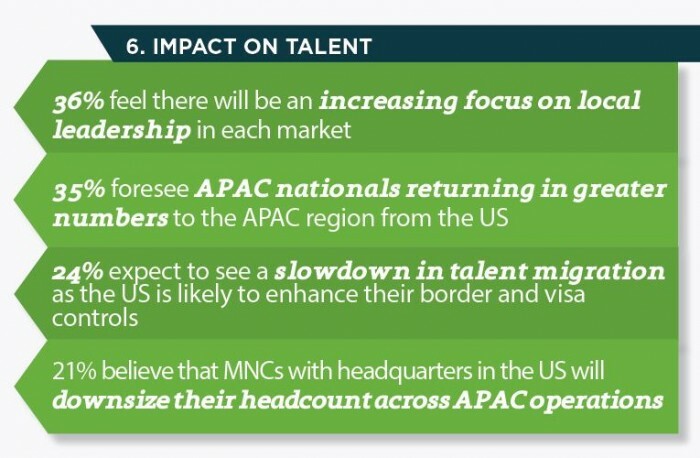 While this might be a positive outcome for the workforce, the majority of APAC leaders think the long-term impact could be negative for the region. 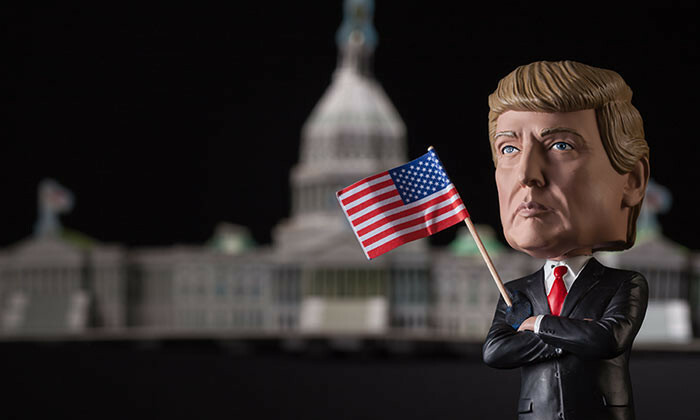 The survey found that 71% of respondents believe that Trump’s victory has not yet affected their business; 15% report a negative impact, while 8% say it has had a positive impact on business. Additionally, the majority of APAC business leaders expressed concern about the lasting impact of a Trump presidency. 29% expect a long-term negative impact on APAC business profits, while 19% are assessing their existing trade deals with the US, and 7% have cut budgets as a result of Trump’s victory. The survey also revealed that businesses in the region were mainly unprepared for the election result. 65% had no plan in place for a Trump victory, 19% had prepared a business contingency plan, and less than a tenth (9%) of respondents were fully prepared, with both a response and plan to deal with this outcome. Looking to the future, 59% of APAC business leaders predict that trade and tariff negotiations will be affected by the Trump presidency, 49% foresee market instability, and 30% anticipate an economic slowdown in the region.